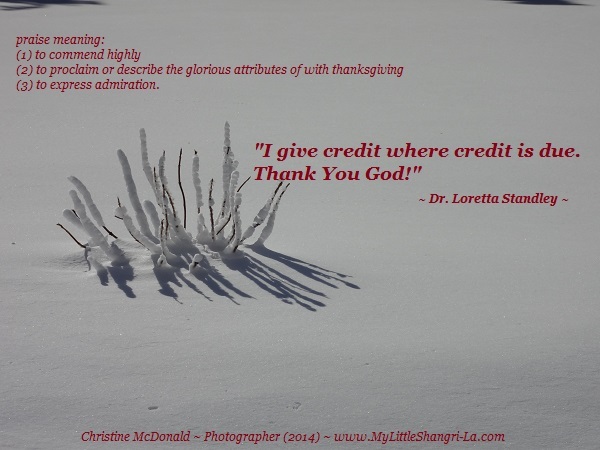 If you’re stuck on your Spiritual Progression Path™, I invite you to visit the home of my dear friend, spiritual healthcare provider, astrologer and more, Dr. Loretta Standley. Click the “Wink” for more . . .
Be sure to click on the card for its meaning and a visit to John’s home! And a Happy New Anything and Everything to you! What are you working on making new for you in 2014? Is known for bringing happiness and prosperity. Laughing Buddha usually carries a bag full of gifts. 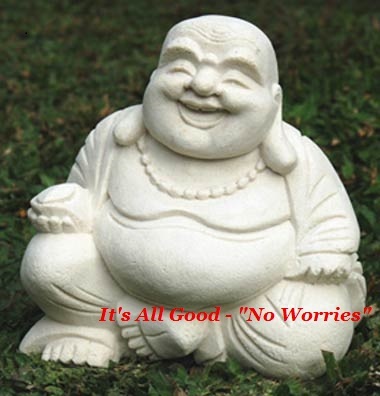 Laughing Buddha is the symbol for abundance and prosperity. It is given as a gift to bring good fortune to households. GARY ALLAN – “NO WORRIES” – SET YOU FREE ! They’re questions on everyone’s lips, in everyone’s hearts. God’s world isn’t like this. Man’s world is. God was in heaven preparing for their arrival, for HE knew what MAN was about to do. With the heaviest of hearts, HE prepared the grandest of feasts, called forth all the angels to form an arch of wings at heaven’s entryway. Saint Christopher, patron saint of travel, was called on to guide their safe return home. Saint Nicholas, the patron saint of children (and the character behind the Santa Claus fable) was called upon to greet them with the grandest of gifts – peace, love and freedom from the wreck of a world from which they came. Harps played, bells rang, angels sang. Unfortunately, MAN has been ridiculously panicking over the 12-21-2012 end of the world prediction. Wake Up ! The world isn’t ending on 12-21-2012. The world, as we know it, as we knew it, is ending. And it’s not going to happen ON 12/21. It’s been happening for quite a while. Take a look around you. Can’t you see? Maybe not. Maybe that’s why these children chose to return home in such a humanly horrific fashion, to shed light on the horror of mankind. THEY are safe. But are we? Will we continue to act in such violent disdain? Candlelight vigils need to stay burning ad infinitum. What good are these horrific sacrifices, what good are these candlelight vigils if they don’t help man see that change needs to take place. The assailant, his mother, the teachers, the children, they are gone and will be sorely missed. But THEY are safe. It truly is man who is in horrible pain, not in grieving for these acts, but in their everyday acts. Do you wave to your neighbor then sleep with his wife? Do you grieve over this massacre then yell at your own? Do you support the tabloids and the demise of human lives they destroy? Do you receive his body then silently condemn the congregation? Will you sit at your Christmas feast and chew on your relatives? As you go about your day today tying up loose strings to your holiday preparations, take note of your actions. Will you continue to honk at people on the roadways, curse at and cut them off? Will you continue to witness tired, frazzled children being reprimanded for acting out in exhaustion after hours of ‘shopping that must be done’? Will you utter ‘oh this tragedy is horrible, we need to do something’? Will you DO SOMETHING? Will you continue to contribute to a world gone a muck or have you finally seen the light? Don’t let these children’s courageous sacrificial acts be in vain. Don’t let this tragedy (at Sandy Hook Elementary) be just another in a list of horrible headlines. “Where was GOD”, you ask? HE was in heaven, heavy-hearted, preparing the arrival of our most precious gift, the child. He was preparing the grandest of thank yous to these victims/these children, for the courageous role they played in helping mankind see that they need to change. How sad that they had to go through such measures to shine a light on us. December 21, 2012 is merely days away. Let this be the final act that enlightens man that the world as we know it must change to one of . . . LOVE! The children of Sandy Hook have spoken. Did you really hear their cries? Did they get through to you? “Love One Another” isn’t just a cool bumper sticker. It’s a necessity and it’s way overdue. It’s all in the way you play it. 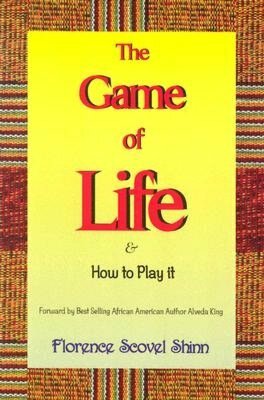 Florence Scovel Shinn has been teaching people how to play this awesome Game of Life for a long time. Be sure to check her and her work out. Your Life will be glad you did . . .